The special CBI court of Shiv Pal Singh had on January 6 handed down three-and-a-half years prison term to Lalu in the case pertaining to illegal withdrawal of Rs 89.27 lakh from Deoghar treasury between 1991 and 1994. RJD Supremo Lalu Prasad moved the Jharkhand High Court today in appeal against his conviction in a fodder scam case and also sought bail. The RJD leader's advocate Chittaranjan Sinha said the court will hear his petitions likely on January 19. The special CBI court of Shiv Pal Singh had on January 6 handed down three-and-a-half years prison term to Lalu in the case pertaining to illegal withdrawal of Rs 89.27 lakh from Deoghar treasury between 1991 and 1994, in the second of the five fodder scam cases against him. 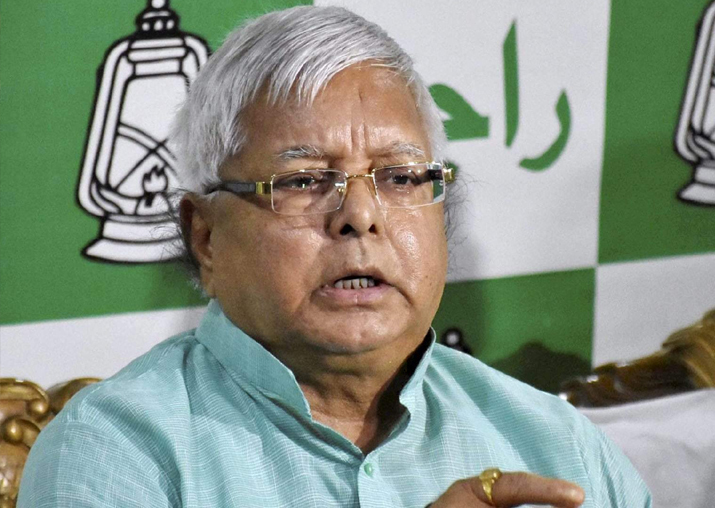 On September 30, 2013, Lalu was held guilty in another case of illegal withdrawal of Rs 37.70 crore from the Chaibasa treasury and sentenced for five years. The RJD boss was on bail in this case when he was convicted and sentenced in the one related to fraudulent withdrawal of government funds in the Deoghar case. Apart from these two cases, he in an accused in three other cases of the fodder scam estimated to have caused a loss of Rs 900 crore to the exchequer when he was the chief minister of undivided Bihar.